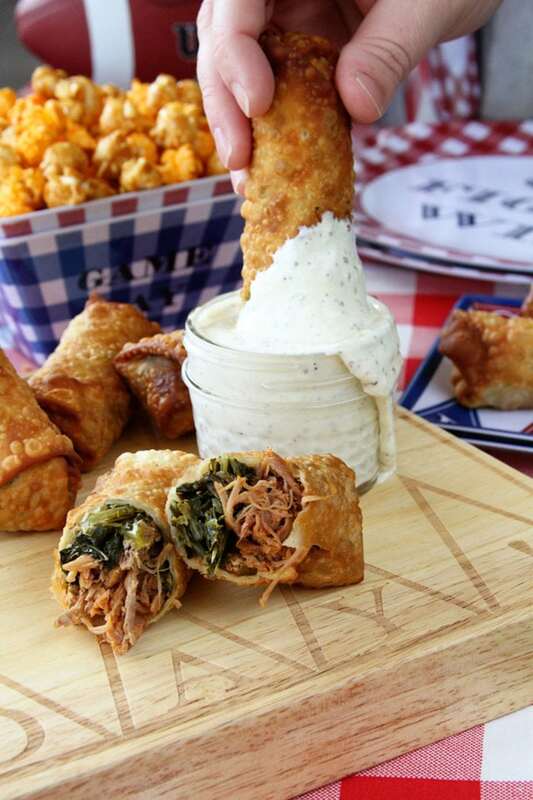 When the folks with Reese Witherspoon’s lifestyle company, Draper James, asked me to create a recipe for a Southern football tailgating party, I knew I had to pull out all the stops. It had to be uniquely southern, delicious, easy, and a little over-the-top. 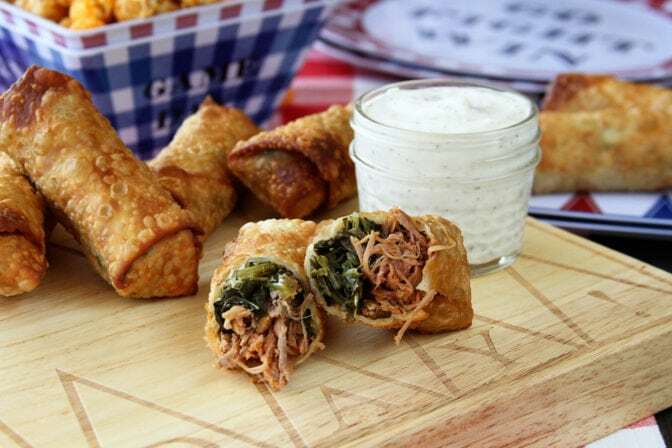 These Pulled Pork and Collard Green Egg Rolls with Alabama White BBQ Dipping Sauce (whew, that’s a title!) are just the ticket. They combine 3 great things that southern food has to offer and are remarkably easy. Making your own egg rolls might seem like a daunting task, but it’s relatively easy once you get the hang of it. I can’t wait for y’all to click over and grab this ridiculous recipe and see the beautiful game day themed tableware Draper James has to offer. Y’all are gonna love these! Get the recipe by visiting the Draper James Blog: Love, Reese. Can you use fresh or frozen collard greens instead of canned in this recipe? They’ll need to be cooked if you opt for fresh. The reason I like using the canned ones is because of the flavor that’s added to them. by my malware software Why? No idea. Try again, Dee. OMGeeeeee! Soul Food in a Roll! LOL These are awesome Stacey! Perhaps a few drops of hot pepper sauce on the collards before closing things up?? ?